Congrats to our friends at Sira Naturals! Proud to say we "knew you when", before you cultivated the first recreational cannabis flower to be legally sold east of the Mississippi. Watch the ~4min video below to get all the details from Mike Dundas himself, CEO of Sira Naturals, immediately following the historic CCC vote. Why Do We Call Sira "Our Friends"? They aren't big pharma or big, out-of-state business. They are Massachusetts Home Grown, and want to help local cannabis microbusinesses get started (they also produce some killer strains and extractions). That's why RCC Co-Founder Spencer Knowles is joining their team, and helping launch The Sira Accelerator. Good people, hard at work, @ The Sira Accelerator facility in Milford. What does this mean for cannabis on Cape Cod? 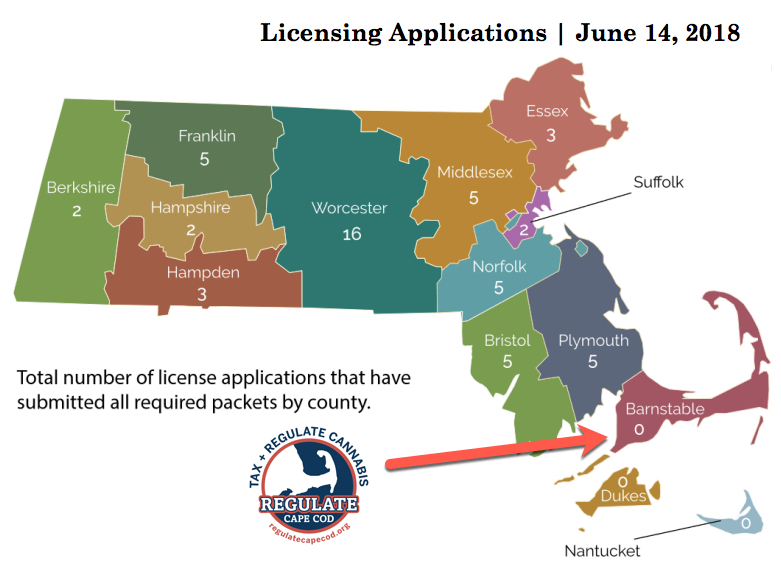 We need to get our act in gear, and fix the fact there are currently ZERO completed applications originating from the Cape. What can YOU do to help Barnstable?